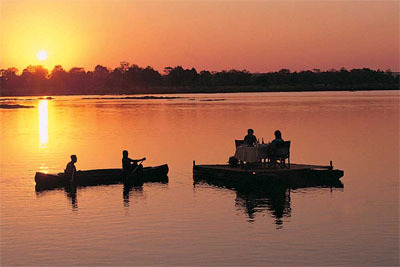 One of the most romantic places in Africa is that corner where the river meets four different countries: Namibia, Botswana, Zambia and Zimbabwe. Honeymooners should enjoy it, though I love every single inch of that river and its banks. 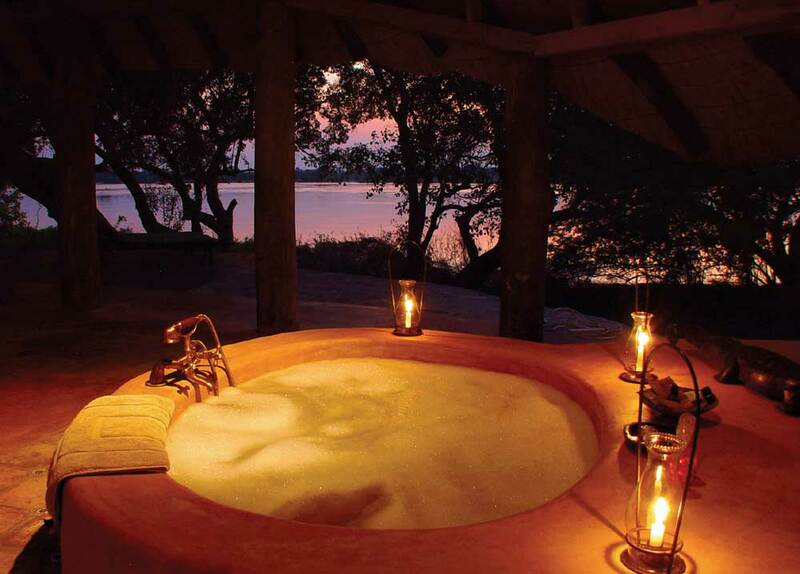 When I retire I think I will certainly spend some time cuddled in one of the lodges. You hear the roar of the falls, you feel the drops of the falls, you feel the strength of the falls. It is fresh, green, lursh, and elegant. Peaceful and easy. Expensive but worthwhile. Eggs on the raft or Dinner on the raft ? Right as you enter the lodge or the "garden" you feel you have reached paradise. The big branches drifting with the light wind, say hello as you walk through. You do not see where you will be host because everything is hidden by the trees or among the trees. Open on the river you can sit, you can bath in a wonderful tub, you can have a nice dinner on the raft. What else from life !